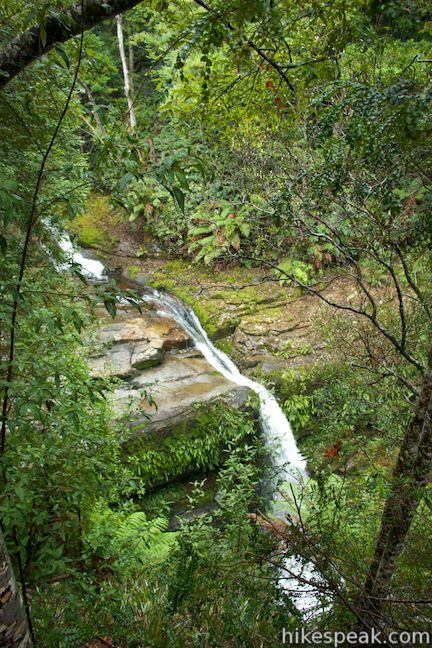 Tumbling through an enchanting Tasmania rainforest, Liffey Falls is considered one of the island state’s prettiest waterfalls. 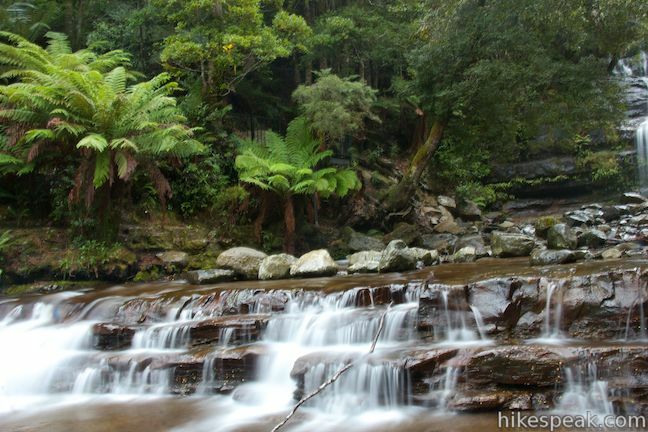 A 2.2-kilometer (1.4-mile) round trip walking track to the falls descends 70 meters in elevation past three enticing cascades in the Liffey River before reaching the photogenic falls. 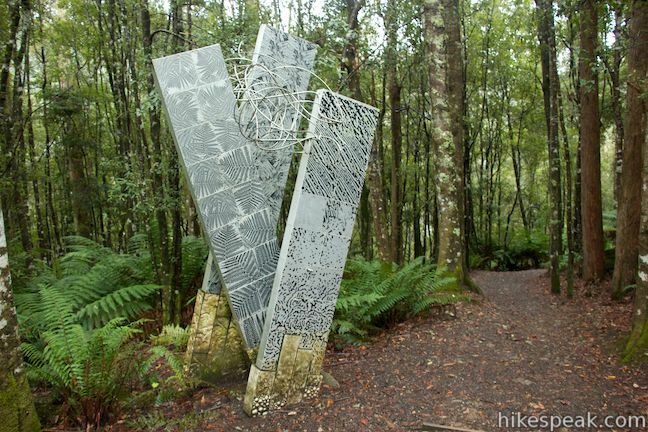 The trail is located in Liffey Falls State Reserve near the center of Tasmania in the Great Western Tiers, mountains southwest of the city of Launceston. 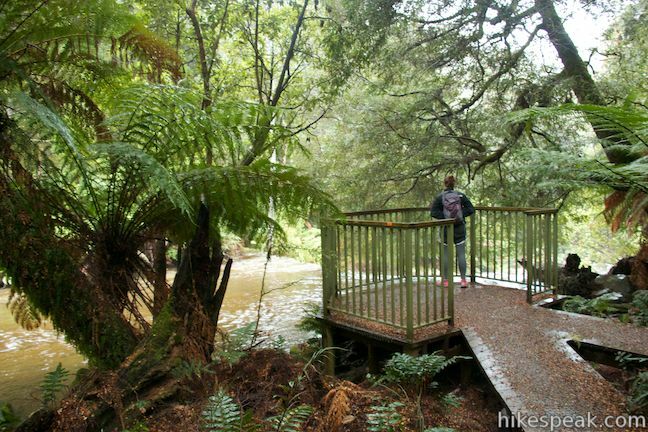 Two routes take hikers to Liffey Falls from car parks above and below the waterfall on the Liffey River. 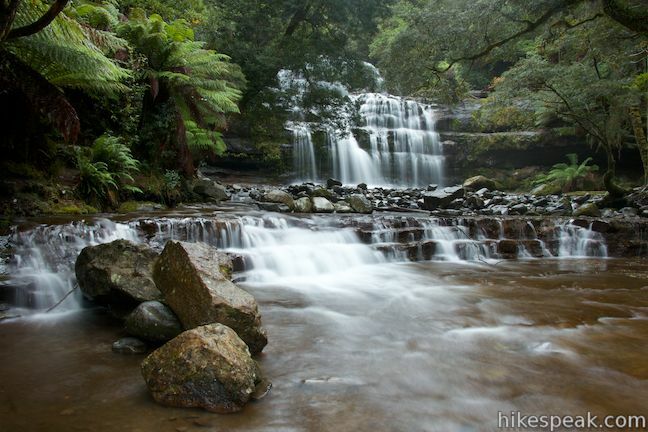 The route described here starts from Upper Liffey Car Park and travels downstream past three cascades to reach the waterfall. 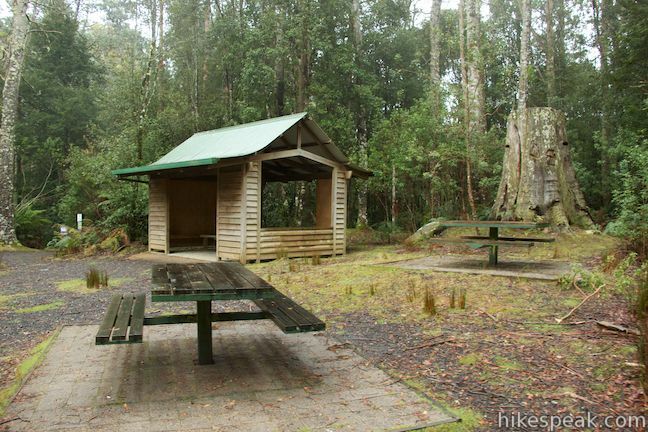 Liffey Falls Picnic Area can also be found at the Upper Liffey Car Park, as well as a short walk to an enormous eucalyptus tree that makes a nice add-on after a walk to the falls. 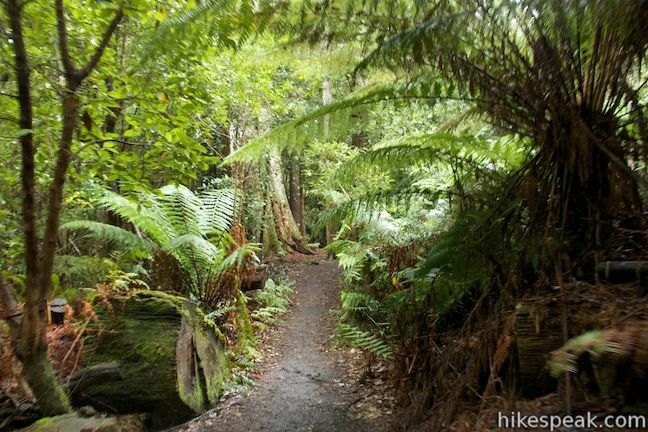 The dirt track passes between tall eucalyptus trees to enter a dense rainforest. 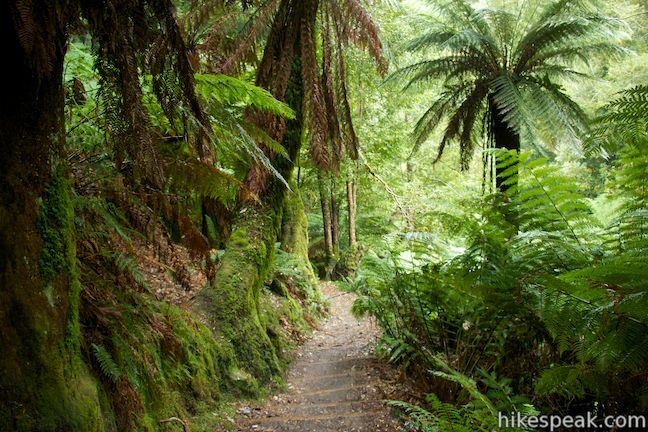 Tall tree ferns arch over the trail as it descends through a switchback toward the Liffey River. From here, the trail sticks to the right bank of the river. 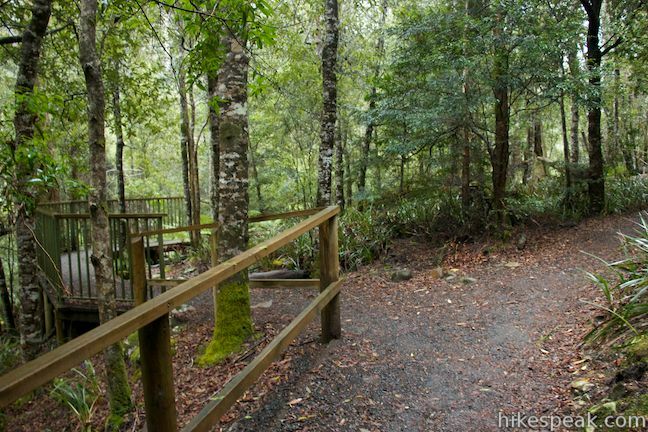 At half a kilometer from the start, you will reach the first split in the trail. 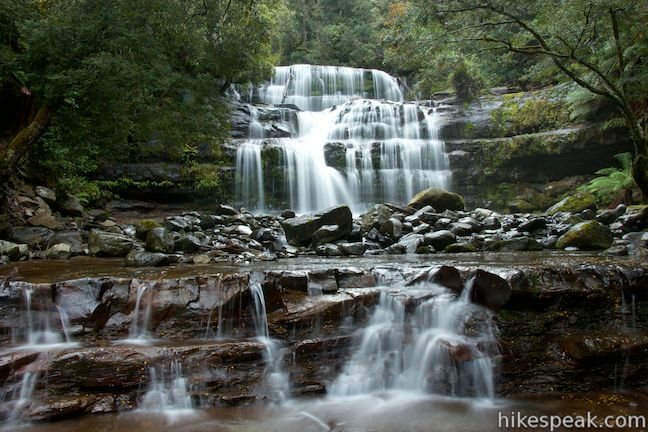 The most direct trail to Liffey Falls is to the right, bypassing the overlook at the first cascade. 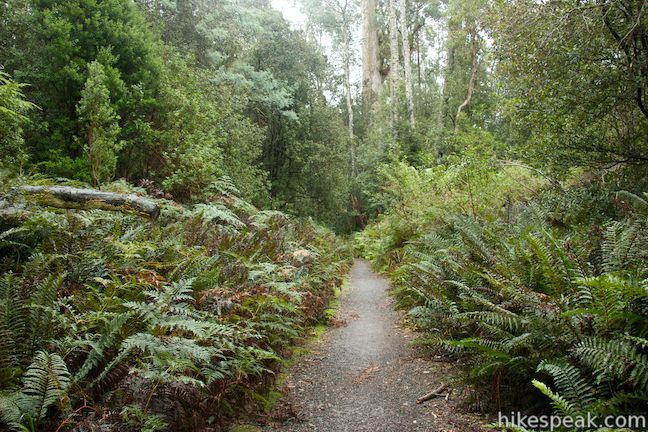 The trail to the left ventures about twenty meters out to the cascade viewpoint before reuniting with the other side of the trail. Walk down the trail to the left to an overlook just above the first cascade. 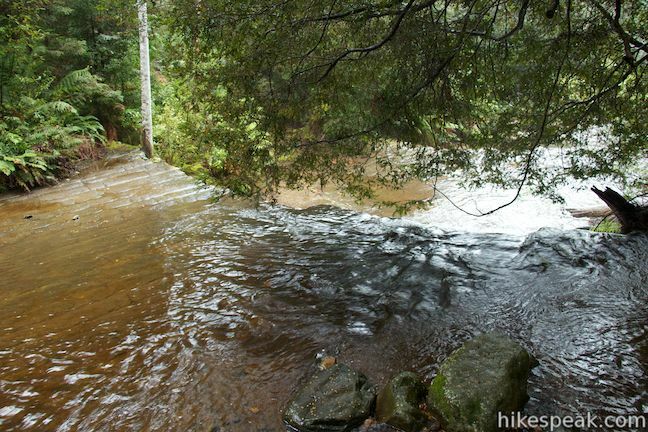 Here the wide, relatively calm river drops off a shelf of orange sandstone. 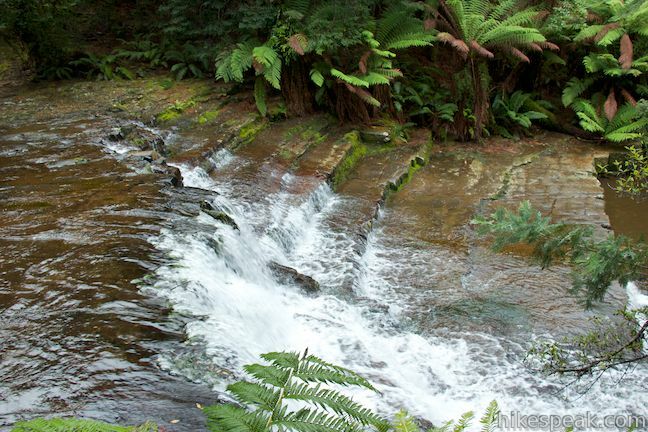 Ferns and verdant brush line the banks of the rainforest-wrapped river. 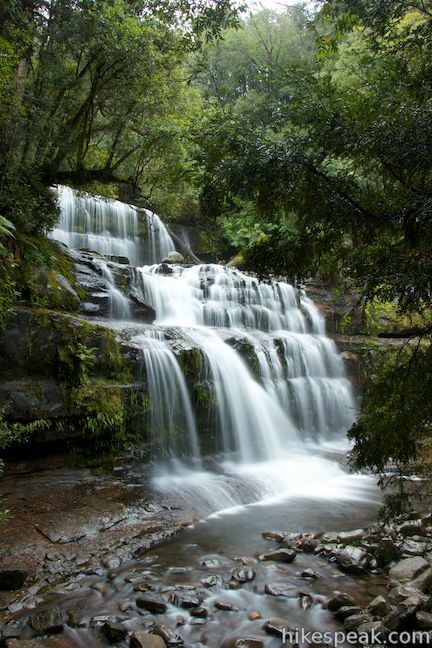 While they are known as cascades one, two, and three (collectively the Upper Cascades), these three small waterfalls have names of their own, Alexandra Falls, Hopetoun Falls, and Albert Falls (or Spout Falls). 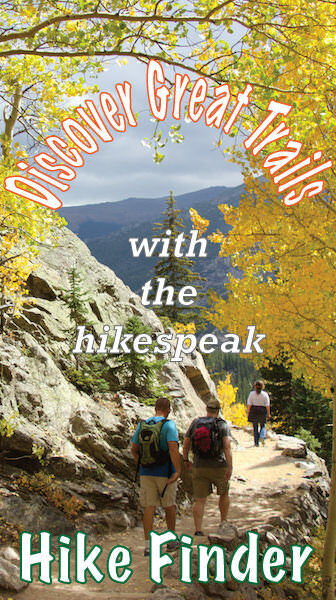 The side trail to the first overlook turns back and connects to the other trail. 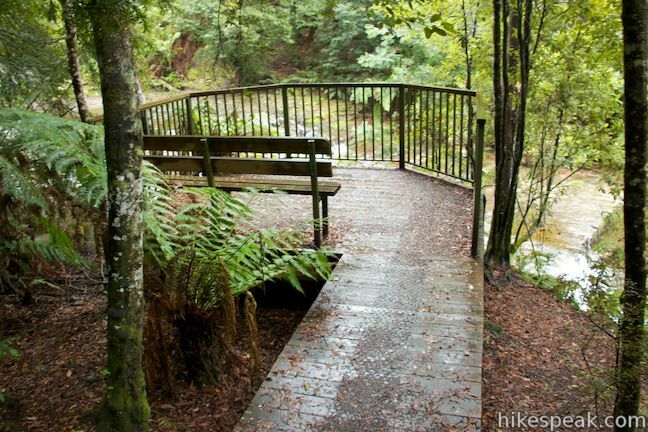 Continue down the unified trail to a wooden platform at an overlook by the second cascade. 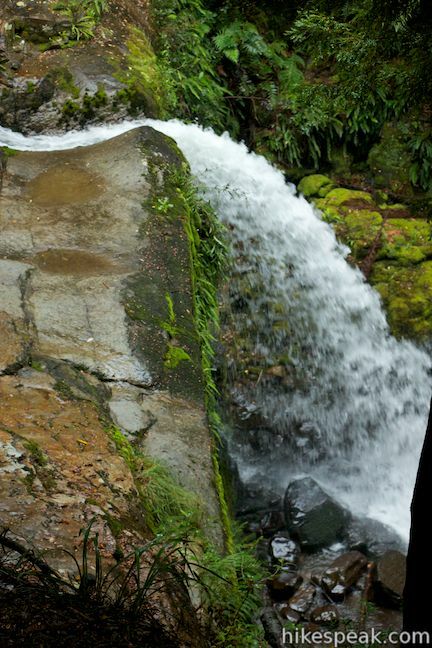 Look down on a new liquid staircase in the river and gaze back upstream toward the first cascade. 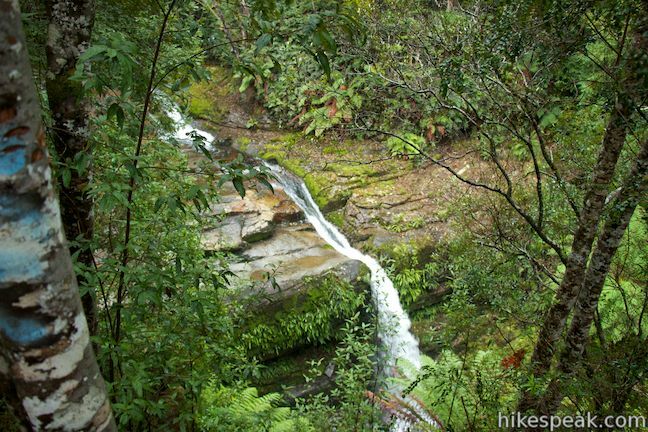 Follow the trail through more dense forest toward the third cascade. 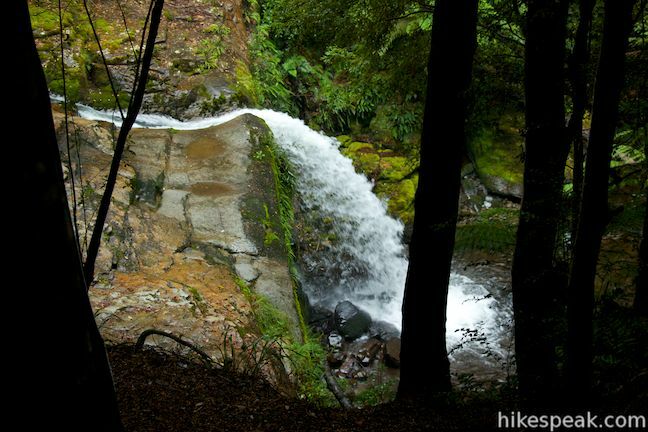 You can actually spot this gusher through the trees before you reach the final overlook. 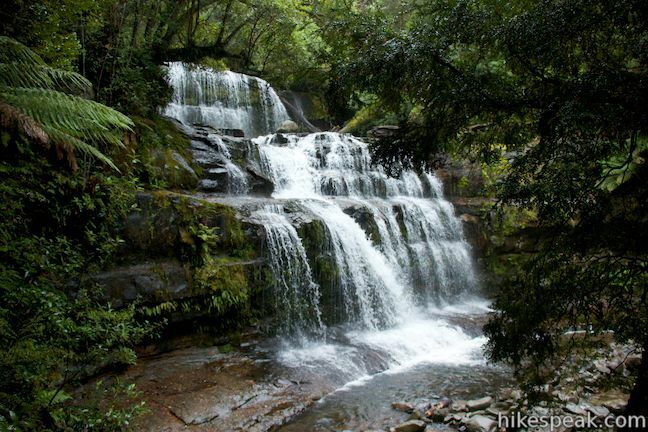 Unlike the previous cascades, and Liffey Falls below, this is not a wide fanned-out drop. 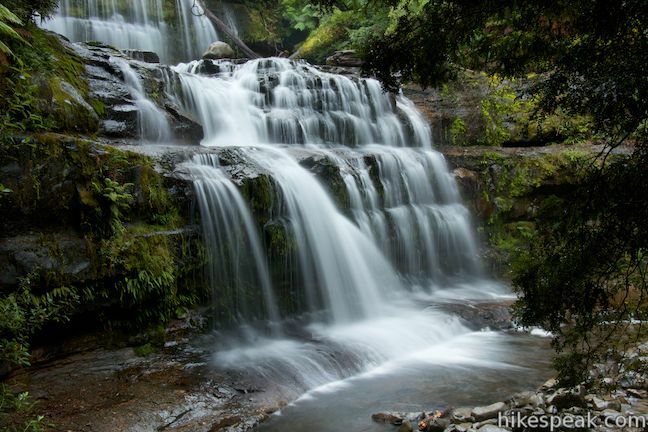 Instead the water is concentrated into a pipe of white water that leaps off a ledge like an oversized waterspout. A fork in the trail goes out and back to the overlook above the third cascade. 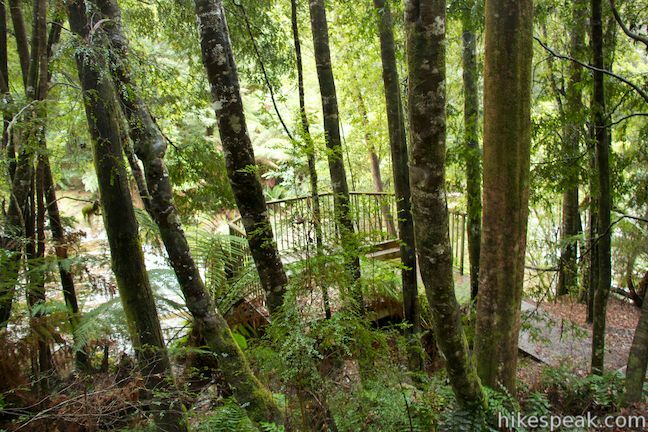 Cross a wooden walkway with a railing that you can lean over and look down on the cascade. The trees somewhat obscure the view of the river, wrapping the short waterfall in a wreath of green. 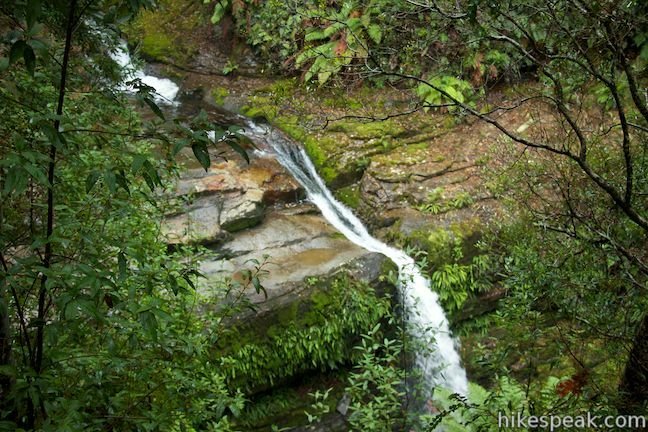 As you continue past the overlook and back to the main trail, you’ll spot another drop in the river below. 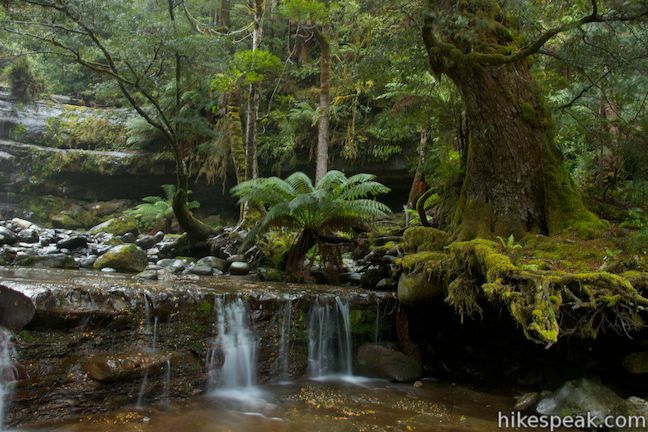 This taste of things to come should motivate you to press on to the end of the trail at the base of Liffey Falls. 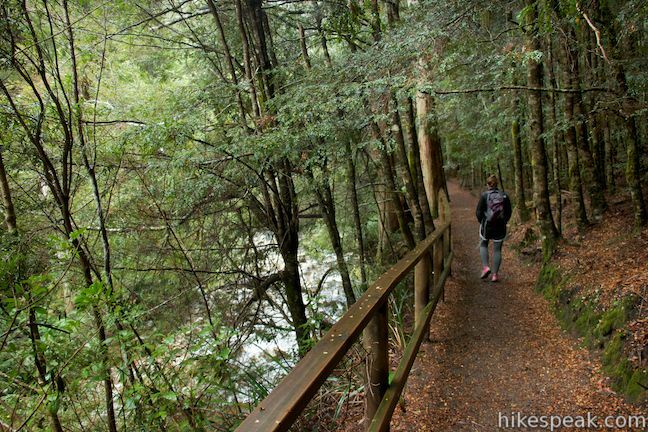 As you reunite with the main trail, you’ll see a sign showing the distance to the falls as 20 minutes. Don’t turn back now. 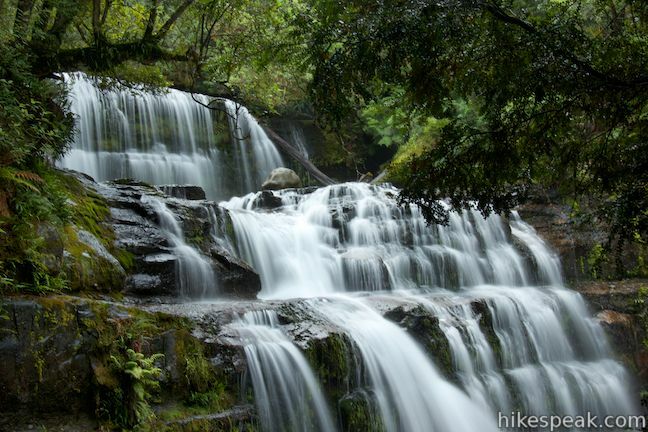 The most impressive waterfall lies just down the trail. Follow the trail down the bank above the river to an important junction. 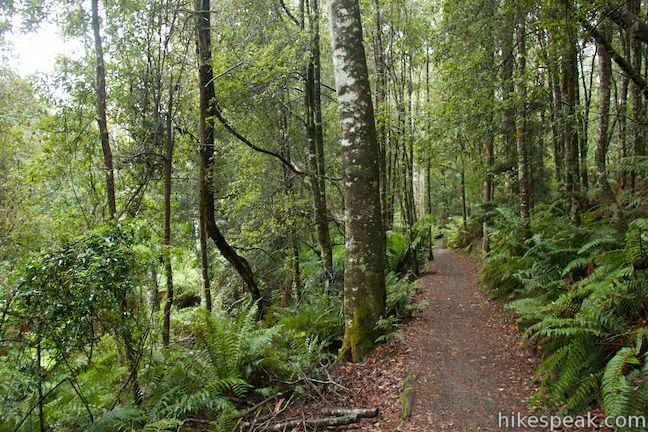 The trail to the right, Liffey River Trail, proceeds another 40 minutes down to the lower trailhead. 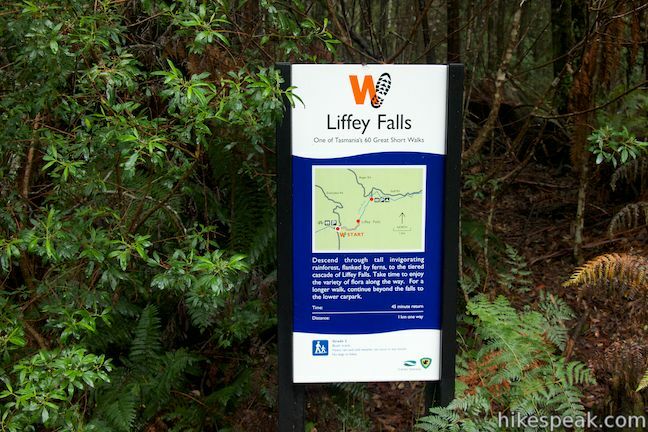 Turn left to reach the waterfall, following a sign that puts Liffey Falls at 5 minutes away. The trail descends with purpose past a few signs painted with children’s drawings and descriptions of the area’s plants. 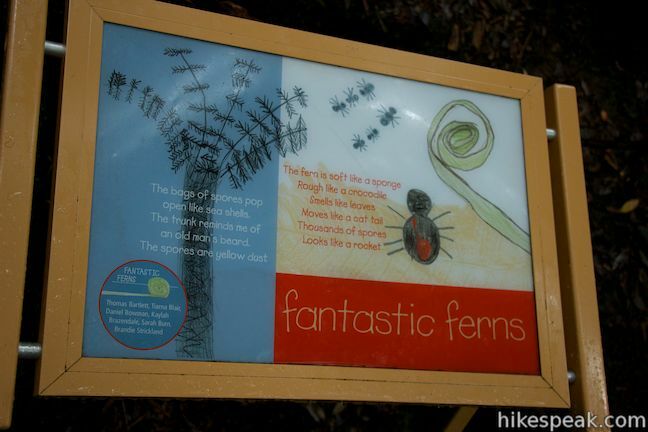 The cute signs may have you looking at the plants around you with a fresh perspective. 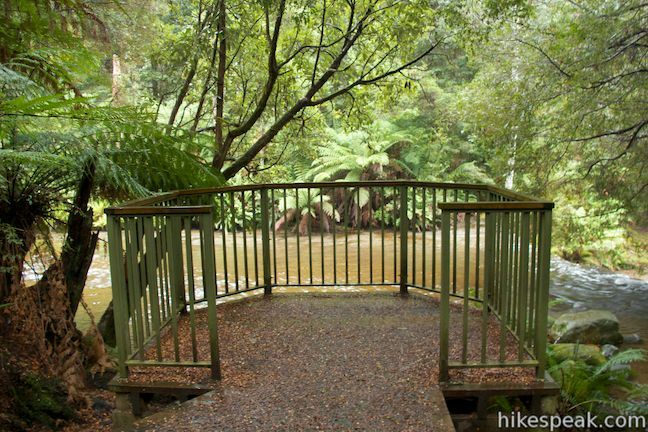 Walk down past a bench to reach the side of the river. 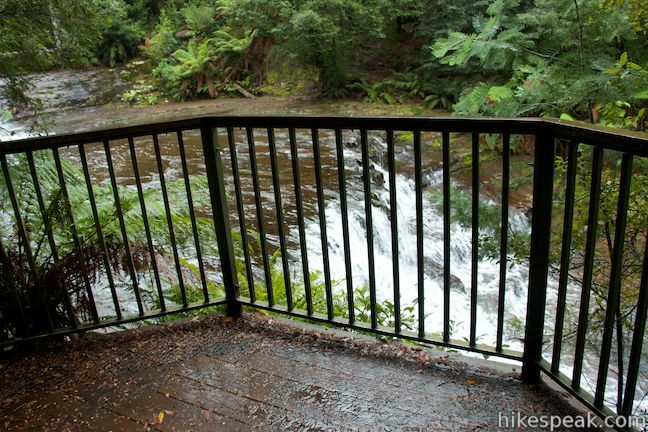 The trail ends at a viewing area with a metal railing. 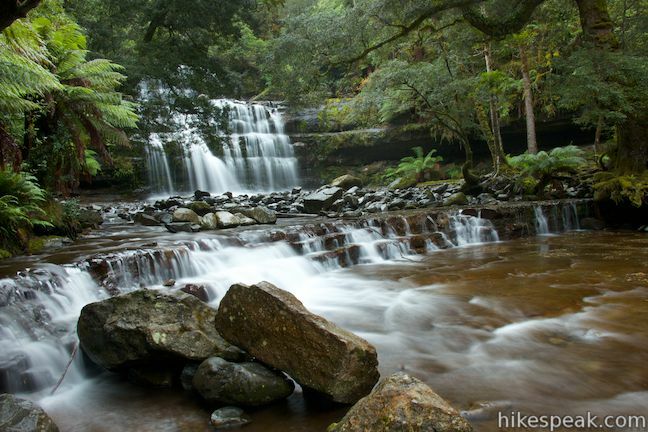 Take in Liffey Falls from here, which appears to your right, spanning across the Liffey River. 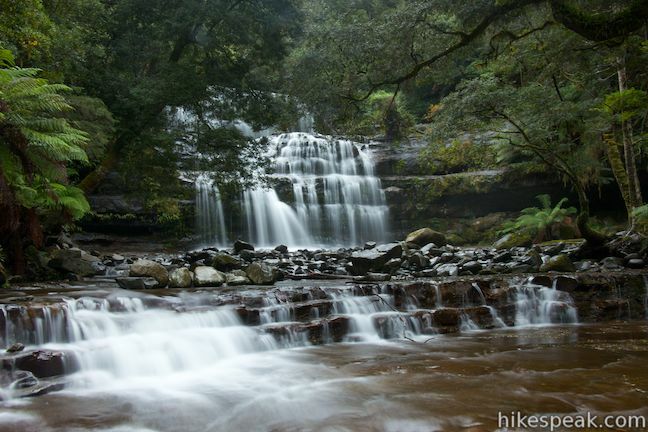 Lovely Liffey Falls fans out across a staircase of dark rocks. 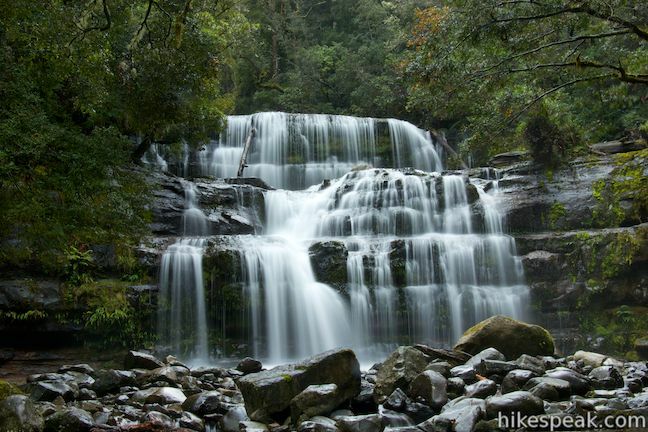 At the top of the falls, there is an initial drop that expands to a broader middle falls, where the water crashes and jumps across a landing and down a final, even broader plunge. 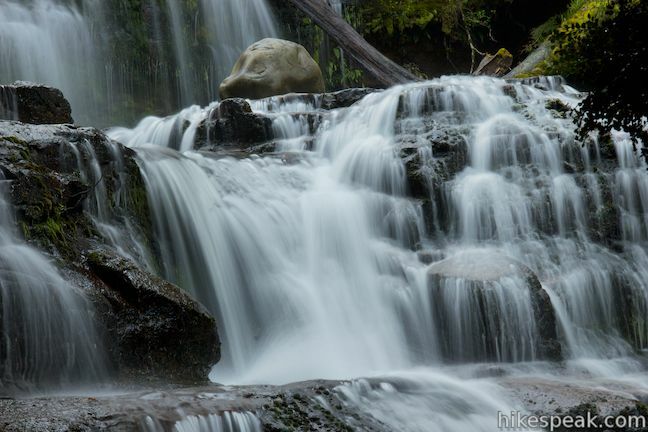 It is a beautiful spot, and if you brought your camera, the waterfall will look mystical with a long exposure. If you backtrack a few meters from the end of the trail, there will be a spot to step out from beneath the trees onto the bank of the river. 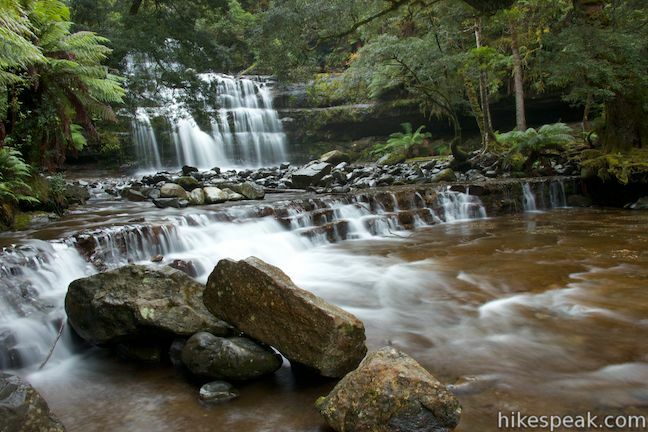 If you’re feeling adventurous, walk out amongst the rocks in the shallow river for great head-on views of Liffey Falls. 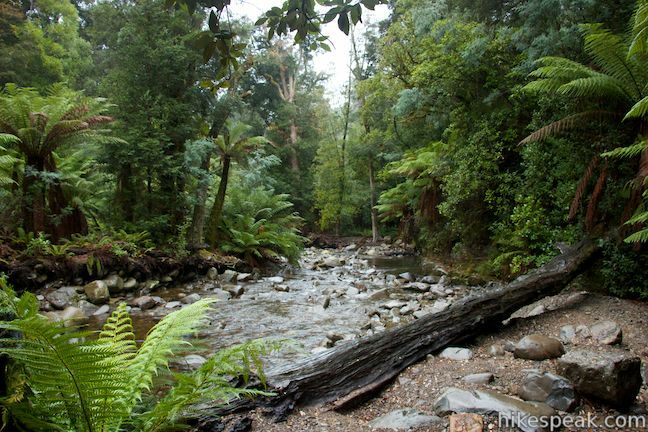 There is a stone overhang on the right side of the river shrouded by the rainforest. 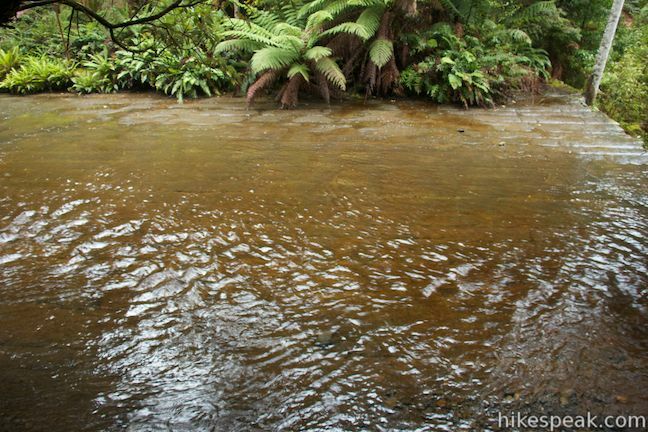 Downstream, there are a few more small drops in the river, but the water seems to get calm below the falls. 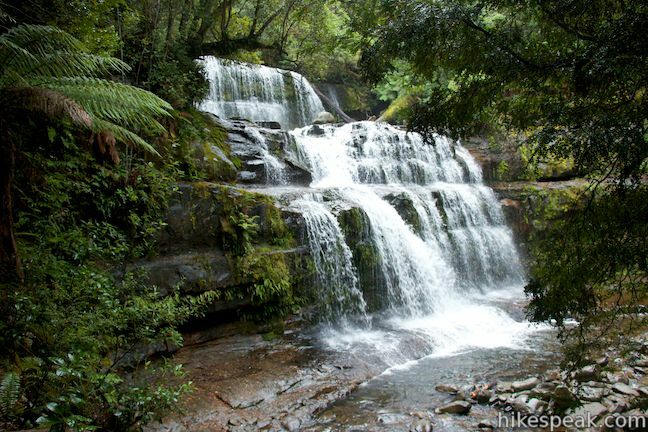 The hike down to Liffey Falls is 1.15 kilometers long. If you walk back via the more direct route it will be a 1.05-kilometer long return. 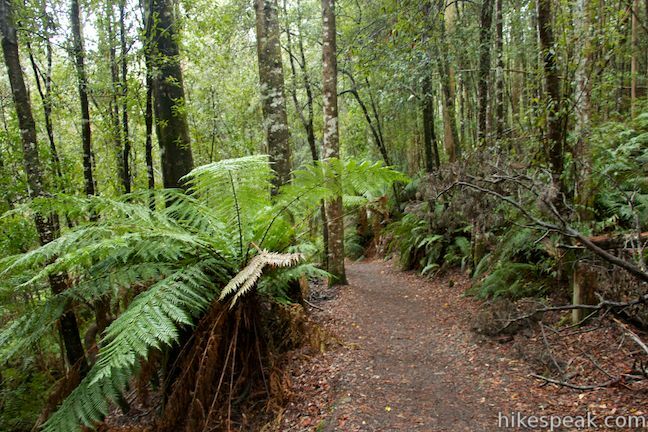 Hike back uphill, regaining the 70 meters of elevation to get back to the car park. 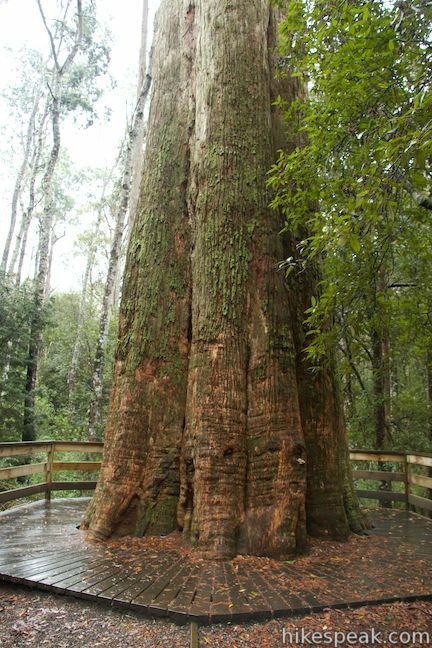 To extend your walk and check out the reserve’s “Big Tree,” walk across the car park to the toilets at the higher side of the picnic area. 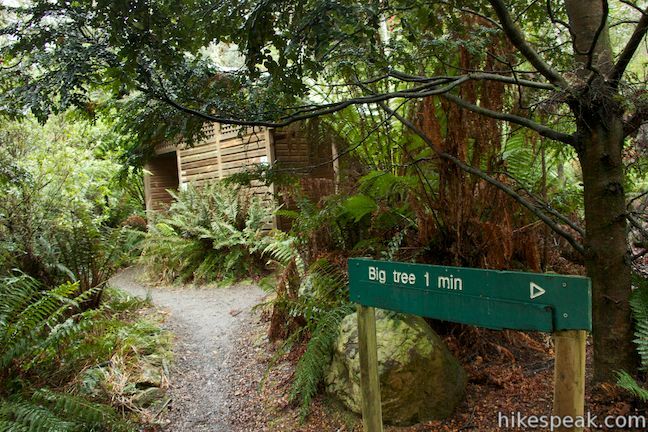 To the right of the bathroom you’ll find the Liffey River Trail and a sign for the Big Tree, which is a one minute walk away. 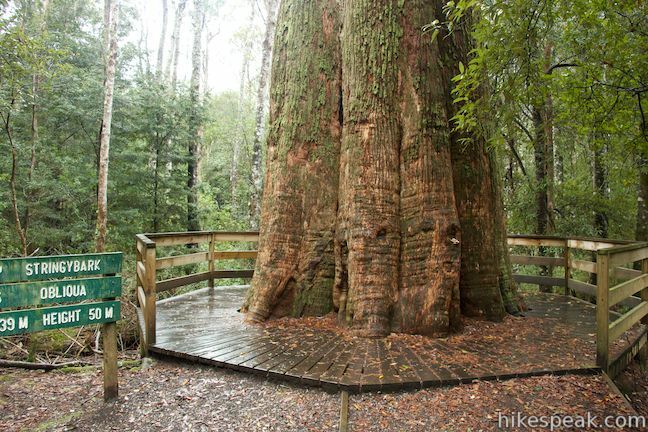 Stroll up the trail to a grand eucalyptus tree (the Big Tree) with a wooden viewing platform built around the base. 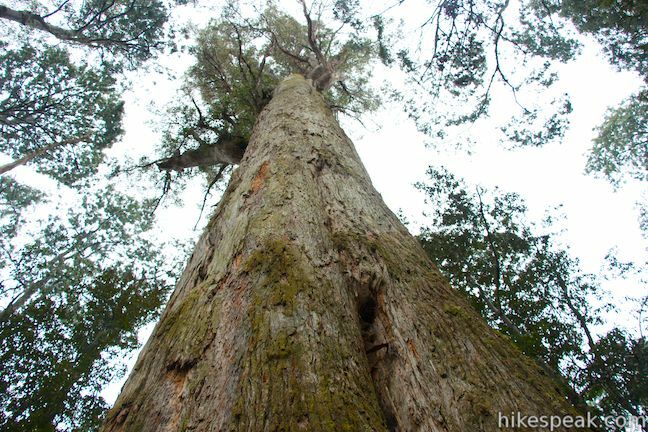 Walk around the broad 3.39-meter diameter trunk and look up toward its highest branches, 50 meters off the ground. 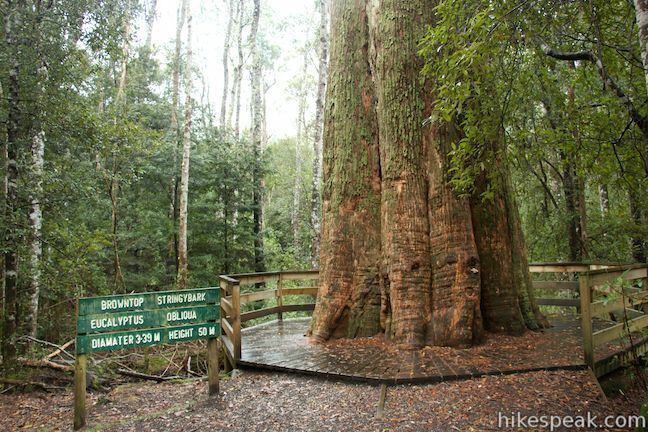 The big tree is a eucalyptus obliqua or a browntop stringybark. When you’ve completed your tour of the tree, simply walk back to the car park. Dogs and bikes are not permitted on these trails. 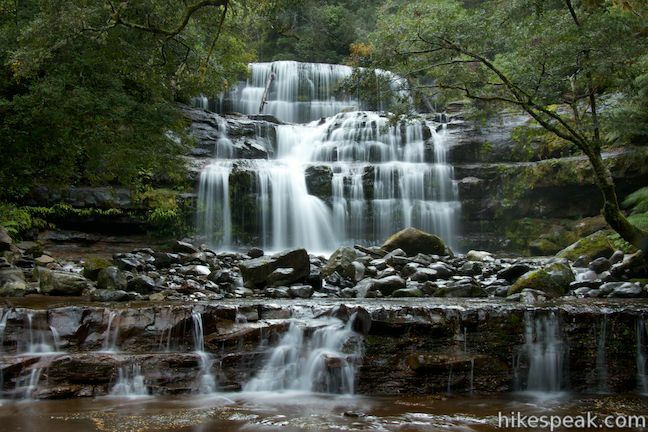 No fee or permit is required to visit Liffey Falls State Reserve or hike to Liffey Falls, so get out and enjoy! Directions: From South Launceston, drive west on Highway 1 for 42 kilometers. Take the Meander Valley Road (A5) exit and drive south on Meander Valley Road for 1.3 kilometers to a roundabout. Take the second exit (like turning right) to proceed on Meander Valley Road (A5). 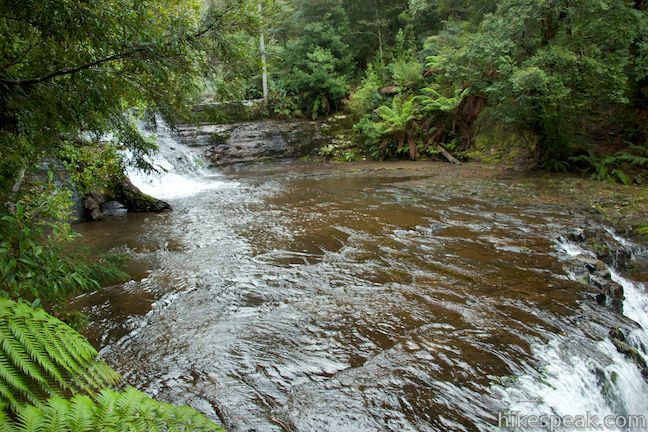 In another 2.2 kilometers, pass through the town of Deloraine and turn left to stay on A5 (don’t cross the Meander River), following signs for Meander and Liffey Falls. In another 7 kilometers, make another left to stay on A5, leaving Meander Road for Highland Lakes Road. Drive 16 kilometers and turn right onto Riversdale Road (C513). Proceed another 6 kilometers down this windy dirt road to the picnic area and trailheads at the road end.